LawHiFi is the release of an honest effort idea that combines elite quality woofer and tweeter technology with classic american woodworking expertise. As an artist building solid hardwood speaker enclosures, Daniel has put his name in his brand. Lowry Audio Woodworking is proud to have built high fidelity audio speakers since 2009. Growing up in his grandfather's wood shop, Daniel learned the craft of woodworking through a mentor-apprentice relationship. After studying Chemistry and Physics, a trusted professor showed Daniel the majesty of high fidelity audio. 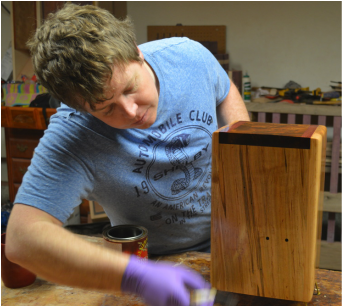 Daniel envisioned beautiful hardwood cabinets housing the world's most elite quality drivers, and after 8 years of building prototypes, Daniel has decided to share his craft with the world. I want to thank everyone who has supported this endeavor. These pieces of art have taken on a life of their own and I have been proud to help bring their beauty and sound into the world.